After our recent Dubspot LA workshop at Apogee Studios in Santa Monica, we sat down with Alpha Pup label head and Low End Theory co-founder Daddy Kev for a deeper look into LA’s ever-expanding beat scene. Dubspot hosted a workshop at Apogee Studios in Santa Monica with Low End Theory co-founders Daddy Kev and DJ Nobody, who shared a wealth of advice and insights based on their prolific work as producers, DJs, label owners, and event producers. After the workshop Dubspot spoke further with Daddy Kev about his music philosophies and his role in helping to foster the artistic and professional growth of up-and-coming artists in LA’s music scene. Kev has been a mentor (and in some cases also audio engineer) to many LA artists such as TOKiMONSTA, Nosaj Thing, Flying Lotus, Daedelus, and Gaslamp Killer. His dedication to his craft and the still-growing reputation of the young artists who have emerged from the Low End Theory scene has made him an influential figure among beat enthusiasts worldwide. Bio: Daddy Kev is a seasoned underground hip-hop producer, with studio credits that read like a who’s who of underground music. 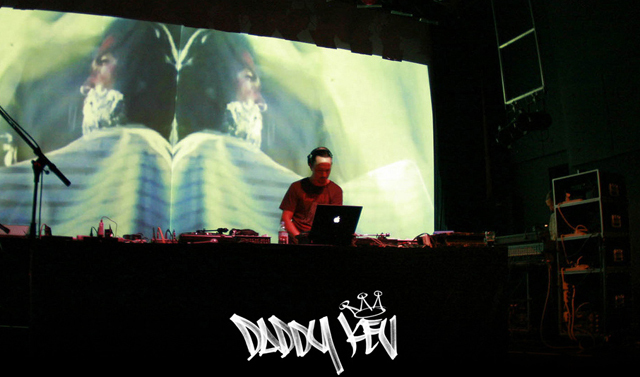 Kev has produced or engineered for the likes of Flying Lotus, Daedelus, Nosaj Thing, Freestyle Fellowship, Abstract Rude, Mix Master Mike, Sage Francis, Supernatural, AWOL One, The Shape Shifters, Busdriver, D-Styles, Living Legends, 2Mex, Slug and countless others. Daddy Kev’s famed Echo Chamber recording studio (now located in downtown LA) has been responsible for an incredible string of underground albums over the years, and continues to buzz with new musical directions being explored on a daily basis. Daddy Kev’s production or engineering work has been released on labels such as Alpha Pup, Warner Music, Warp, Ninja Tune and many others. Daddy Kev’s newest label venture is Alpha Pup Records. Founded in late 2004 with business manager Danyell Jariel, Alpha Pup was conceived as a licensing entity for Kev’s catalog material, as well as a mechanism for releasing new material by close friends and allies. Kev was also a founding father of Celestial Recordings, the pioneering hip-hop and drum-and-bass label. « SF MusicTech Summit 2012 Highlights – How to Get Your Music Heard Online!